To all of those who work, or have worked, may you enjoy a day of rest, relaxation, and reflection on how fulfilling it is to enjoy the fruits of your labor. Every year, Labor Day seems to arrive at just the right time. It’s been a long summer, you’ve worked hard, fatigue and ennui are weighing you down . . . and suddenly a glorious three-day weekend arrives that allows you to sleep in, spend some time with the family, and revel in a little bit more of summer before cooler autumn comes to town. This year is no different. It’s been a really busy summer, with lots of time on the road. From my perspective, at least, the timing of Labor Day could not have been better. I’ve written before about the origins of Labor Day — which is one of the oldest federal holidays, next to Thanksgiving — but it almost wasn’t scheduled for the first Monday in September. The alternative date was May 1, also known as International Workers’ Day. President Grover Cleveland decided, however, that having a holiday on that date might encourage labor group protests and general anarchist and socialist rabble-rousing, so the September date was selected instead. If President Cleveland consciously selected the September date because he wanted to discourage rioting and mass labor marches, he succeeded beyond his wildest dreams. For decades, most Americans have marked Labor Day not with marches and protests, but with grilling out, getting in those last precious moments of pool time, and fortifying themselves against the coming colder weather with a few frosty adult beverages. Since 1971, when Memorial Day became a federal holiday celebrated on the last Monday of May, Memorial Day and Labor Day have bookended the summer months, giving us those wonderful three-day weekends to really set the warm outdoor months apart from the rest of the year. When you think about it, it was pretty good decision-making by our elected representatives. This Labor Day, as I enjoy my frosty adult beverage, I’ll take a swig in honor of President Cleveland and his impeccable sense of holiday timing. 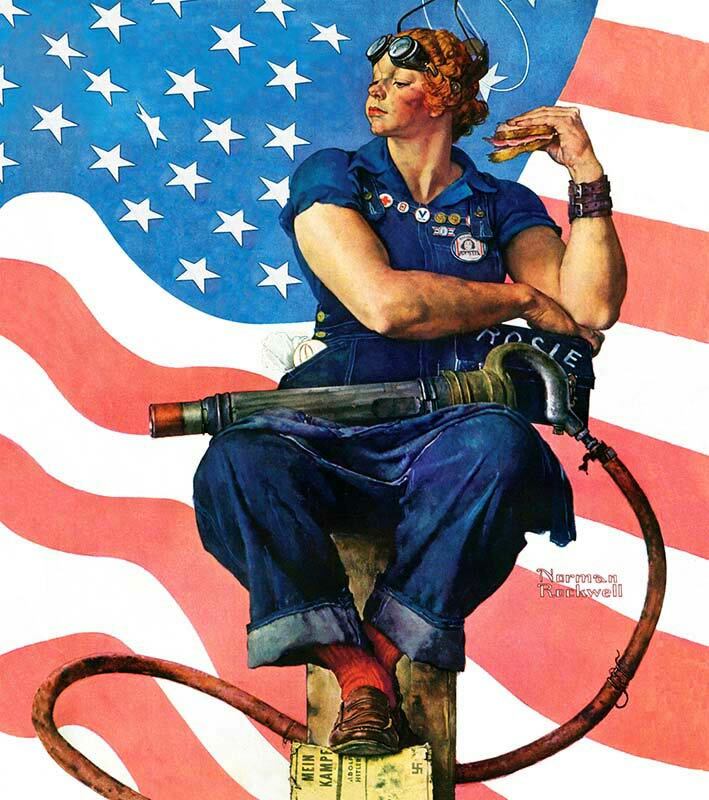 Let Rosie the Riveter be your guide today. Enjoy a break from work, eat a hearty sandwich, and step on some fascist literature while you’re at it. Most of us will spend decades, and countless thousands of hours, at our jobs — but how often do we think about “work” and how it is changing? On this Labor Day, it’s worth taking a moment to do so. In the United States, the concept of “work” and the types of jobs that constitute “work” have changed dramatically over the past 150 years, reflecting changes in the country as a whole. As this interactive chart of census data shows, farmers and farm laborers constituted more than 50 percent of the jobs held by men in 1850; by 2000, farmers and farm laborers amounted to less than 1 percent of the working male population. Other jobs that were relatively common in 1850 — like blacksmith, which was 1.79% of the male job market in 1850 — have largely vanished, and new jobs like bartender and insurance agent have taken their places. The shifts in the jobs have reflected, and in some instances caused, shifts in the culture of America. Farmers in 1850 worked with family members on land they owned and their work days were self-directed; they lived in rural areas and had little daily interaction with people outside of their village. Modern white-collar employees typically work in highly structured environments, doing what a complex hierarchy of managers tell them to do, in large cities and buildings where they may interact with hundreds of people each working day. The demands of the jobs are different — farmers needed to know when to plant and when to harvest, while office workers need to know how to create a decent spreadsheet — and the stresses are different, too. Who is to say whether preparing an important presentation for a corporate vice president is any more stressful than rising at 4 a.m. to deliver a calf whose successful birth might be crucial to eking out a profit for the year? The census record of non-household work by women is even more interesting, because it not only shows the ebb and flow of jobs but also the impact of social change and technological change. At one time household workers (cooks and maids), farm laborers, and dressmakers made up the preponderance of outside-the-home working women, then — as more women entered the workforce — secretaries, clerical workers, and cashiers came to the forefront. And check out the “manager/owner” category for women, which has gone from less than 1 percent of women in 1970 to more than 3.3 percent in 2000. Our female friends and family members who own their own businesses and call the shots are part of a significant trend. The “secretary” job category is particularly worth noting. The position first shows up in census data in 1900, where about .3% percent of women reported holding that job, and the job category grew to more than 5.3 percent of women by 1970, as white-collar jobs in America exploded. That number then fell to about 2.9 percent by 2000, and it has likely fallen farther since then. Why? It’s not because secretarial work is any less important, but because more and more of that work is now being done by the white collar workers that secretaries used to assist. 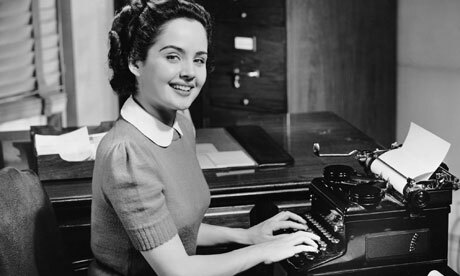 As young people who are used to working on personal computers and doing their own keyboarding enter the workforce, there is less need for secretaries who can take shorthand and then type 100 words a minute, without error, on their typewriters for bosses who had, at best, “hunt and peck” proficiency. How should people prepare for the constantly shifting job market? We might not be able to predict what types of jobs will be available as social and technological changes occur, but we can predict the characteristics that will make employees successful — because those haven’t changed at all. 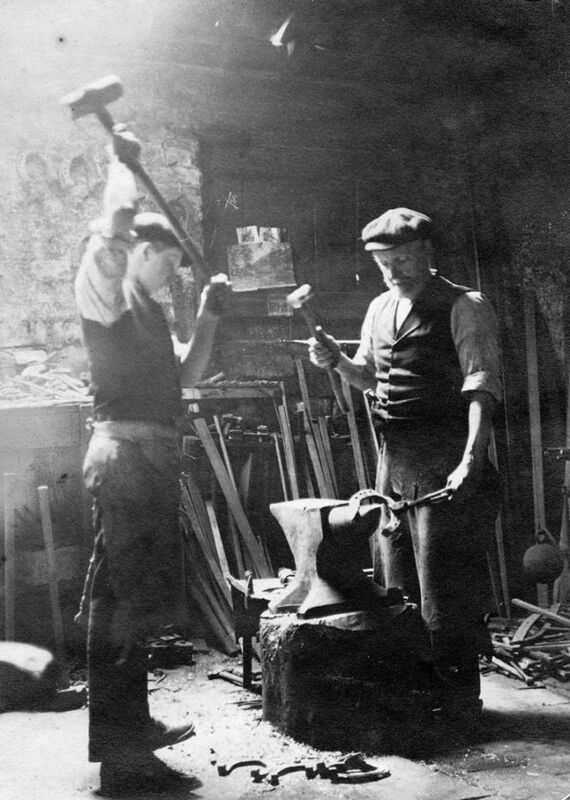 Whether you are a blacksmith or an IT specialist, hard work, timeliness, and attention to the quality of your output will always be keys to success. Today Americans — well, most of us who aren’t working at stores that have big Labor Day sales, anyway — get the day off. Why? Labor holidays were the idea of trade unions in America’s large industrial cities. According to the U.S. Department of Labor website, the first labor day celebration, on September 5, 1882, occurred in New York City, and by 1885 the idea had spread to many urban areas. Labor Day was recognized as a holiday by some states in the 1880s, and the federal government followed suit in 1894, declaring that the first Monday in September would be celebrated as Labor Day in the District of Columbia and the territories. Interestingly, unions developed the idea of Labor Day during a period of some of the worst clashes between unions and management in American history. For example, the Pullman railroad workers strike in 1894 — the same year the federal government recognized the Labor Day holiday — caused a number of deaths and was broken only after President Grover Cleveland called out the Army. Although most people focus on such strikes, the union movement also was responsible for pushing many of the work day, safety, and wage laws that Americans take for granted today. The basic idea behind Labor Day, of course, is to give American workers a holiday from their labors. Of all of the three-day weekends we receive during the year, therefore, Labor Day is the one best suited to commemorate with a simple day off in all its glory, from sleeping in to lounging around to grilling a brat or two as the day winds down. Happy Labor Day!